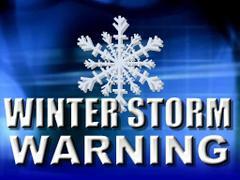 A State of Emergency has been declared due to the winter storm. NJ State Offices and Riverside Administrative and Riverside Court offices are closed tomorrow 1/27. Parking restrictions are also in effect. Scott Street is closed to all public parking. The entire length of Fairview St., Bridgeboro St., Pavilion Ave, and N. Pavilion Ave are closed to public parking during the State of Emergency. Please stay tuned to local weather as the forecast for this storm has changed several times already. The National Weather Service is currently predicting 12-16 inches of snow in Burlington County.